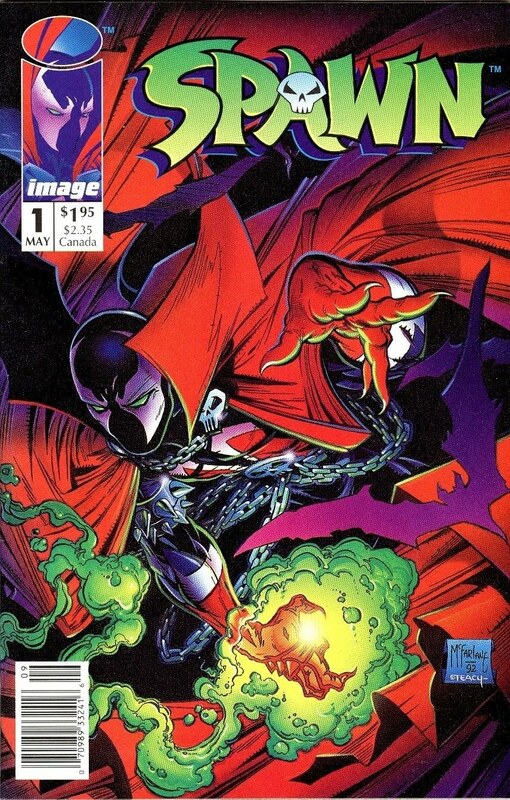 After Todd McFarlane left Marvel over creative differences, he, Jim Lee, Rob Liefeld and a few others started up Image Comics. 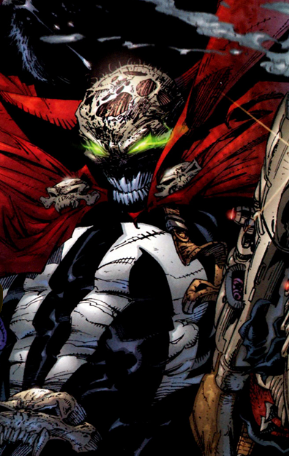 McFarlane created the character of Spawn and this series was one of the first titles to come out of the newly formed company. 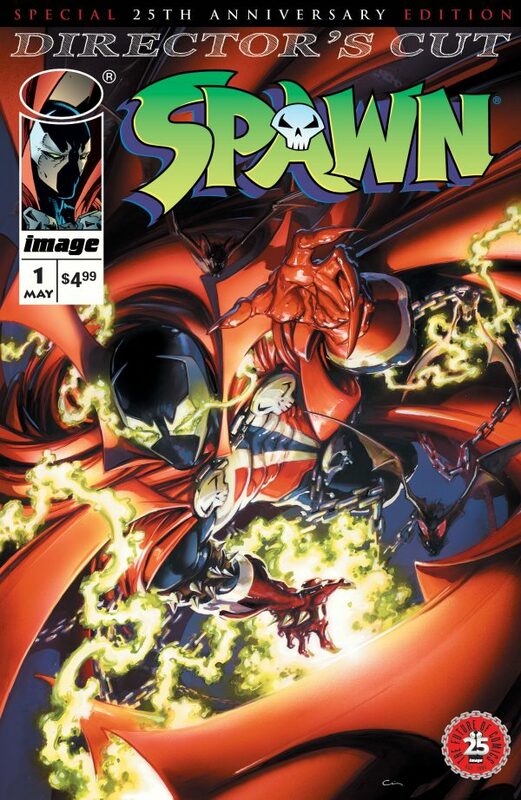 Spawn #1 was a hugely popular comic for Image, selling over 1.7 million copies. It's is one of the few titles, if not the only title, that Image had at it's start, that's still being published today. In 1997, New Line Cinema released a movie of the same name staring Michael Jai White and John Leguizamo. It was, in my opinion, less than spectacular. 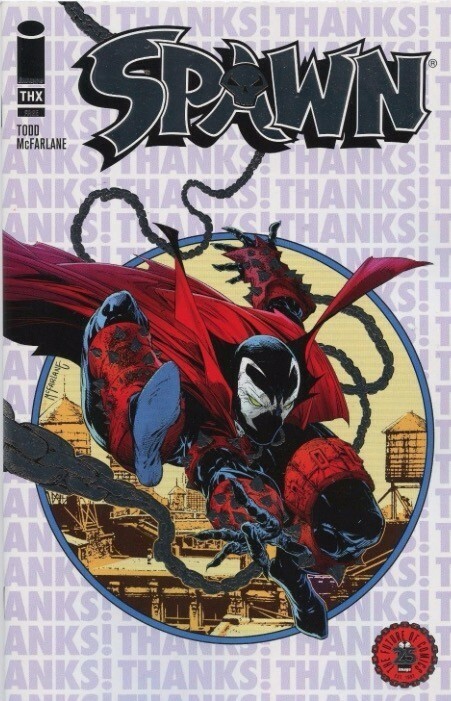 There has been a rumor that Mcfarlane has a new script and is trying to get a new movie made. I hope that it's better than the last one. 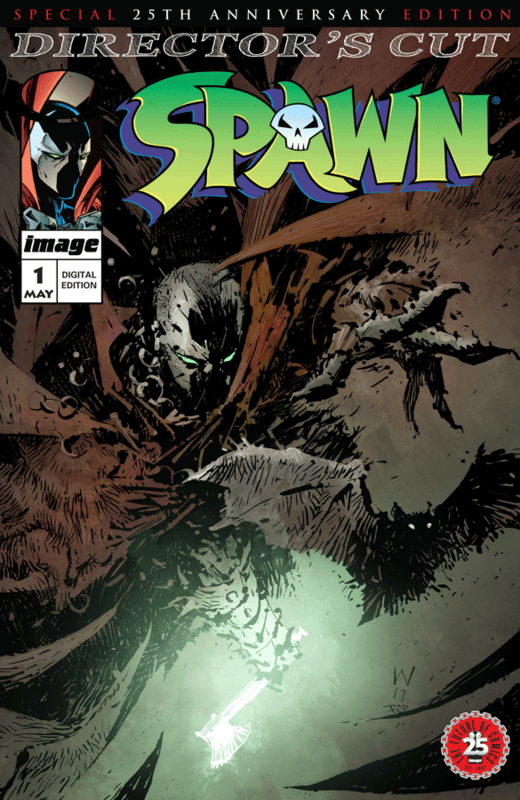 Spawn #1 is chock full of first appearances, but we'll start with the most obvious. Before he was Spawn, he was C.I.A assassin Al Simmons. He was ordered to be killed by his employer, Jason Wynn while on a mission in Botswana. He is ultimately killed in a fire. Simmons is then sent to hell, after all he did break the commandment of "thou shall not kill". While in hell, he makes a deal with Malebolgia to be sent back to Earth so he can see his wife Wanda Blake again. However, when he was sent back five years after he died, he was still horribly burned and is now a Hellspawn that works for Malebolgia. Wanda Blake is Al Simmons wife. They were marries for years before he was burnt to a crisp. After he was killed, she ends up remarrying his best friend Terry Fitzgerald. Wanda is only shown in flashbacks in this issue. It isn't until issue #3 that we get to see the real Wanda Blake. Jason Wynn is the corrupt director of the United States Security Group, which encompassed the C.I.A. whom Al Simmons worked for. He is a very powerful man. He has many government politicians on his payroll and often makes deals on the black market. He is the one that orders the assassination of Al Simmons. 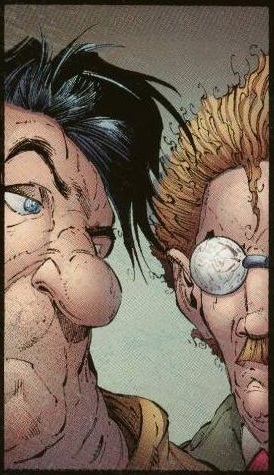 Sam Burke and Twitch Williams are friends of Spawn and were partners in the NYPD, but were eventually released from the police force after an internal affairs investigation. After that, they became private investigators. I'll get more into these two characters later on down the line. And finally we have the first appearance of Malebolgia. He is a demon and one of the most powerful leaders in Hell. He is also responsible for turning Al Simmons into a Hellspawn. He saw potential in the assassin, and sent him back to Earth to help build Hell's army. There is really only one variant for this comic, and that is the Newsstand edition that is estimated to only be about 15% of the total print run. There are also a few reprints out there. 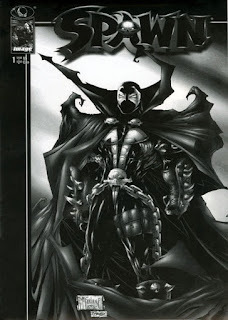 The first is the Black and White cover, which was a retailer incentive comic that came out in 1997. The next few covers are the 25th Anniversary Directors Cut editions and were released in mid 2017. However, these aren't true reprints of issue #1, but the show the original art boards from issue #1 and have written commentary by the Todd. One of these covers, the Foil Thank You one to be exact, was a free gift to retailers as a, well, a thank you for their support and business. These copies were limited to one per store. 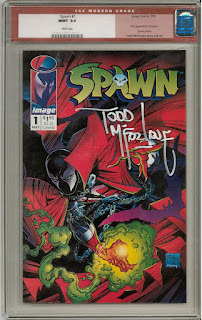 So far, of the 1.7 million copies of Spawn #1 that were printed, 5,128 of them have been graded by CGC. As you probably could have guessed, most of them are high grade copies. A majority of them are 9.6's and up. There are also six copies that scored a perfect 10, 66 are graded 9.9 and none of which are restored copies. Of all those graded so far, 826 are Signature Series. Who were they all signed by? I don't know, but I can bet that most of them have a Todd Mcfarlane autograph on them. The lowest grade copy on the census so far is a measly 5.0. On a comic that is as abundant as this one, that is definitely not a good grade to have. You'll be losing money if you send a book in to be graded and it comes back lower than a 9.6, so check your copies closely before sending them in. Sales for this comic are hit and miss. Mostly miss at this point. The only real grades that are investment worthy are 9.9 and 10. You can still get a nice high grade 9.8 copy for less than $100, but as soon as you start looking higher grades than that, you're gonna have to fork over some dough. Recent sales for 9.9 copies are averaging around the $800 mark. There was one sale for a 9.9 in July of 2015 that broke the $1,000 mark, but have come down since then. I was trying to find some recent sales data for a CGC 10 copy, but I couldn't find anything. I did find that a copy at that grade sold for $810, but there is no mention of what year it was sold. I'm sure that it was many years ago. 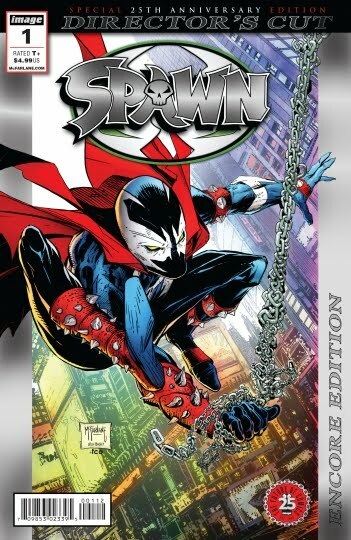 If you're looking for a nice high grade copy of Spawn #1 into your collection, there are some very affordable options for you out there. Since there are just so freaking many copies, you're only going to have to pay a premium for ultra high grade 9.9 or 10 copies. 9.8's could look nice in your collection, just don't expect to get rich from them. $1,000 for a CGC 9.9 Spawn #1? Holy moly! That's Ka-razy! Ka-razy is an understatement. I wish one of the copies I've gotten in comic lots was a 9.9. Great artwork, though! 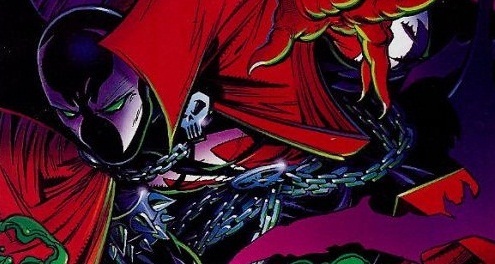 McFarlane's Spawn definitely had a more polished look, but not overly polished. 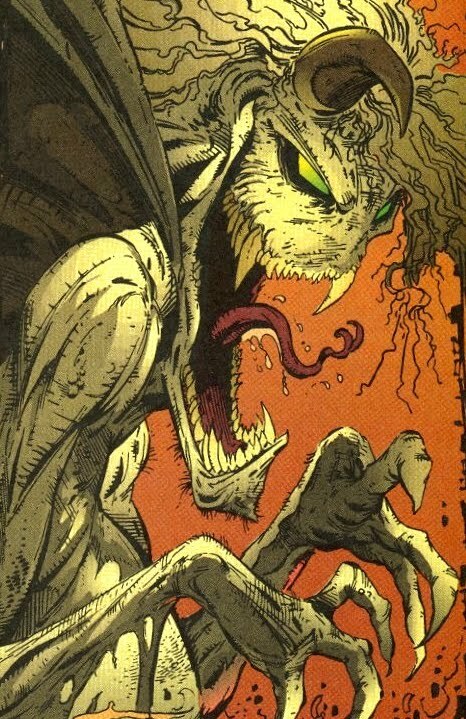 I'm still in awe when looking at his stuff in Spawn just as I was when first reading early Spawn comics. He's one of the best when it comes to his artwork. 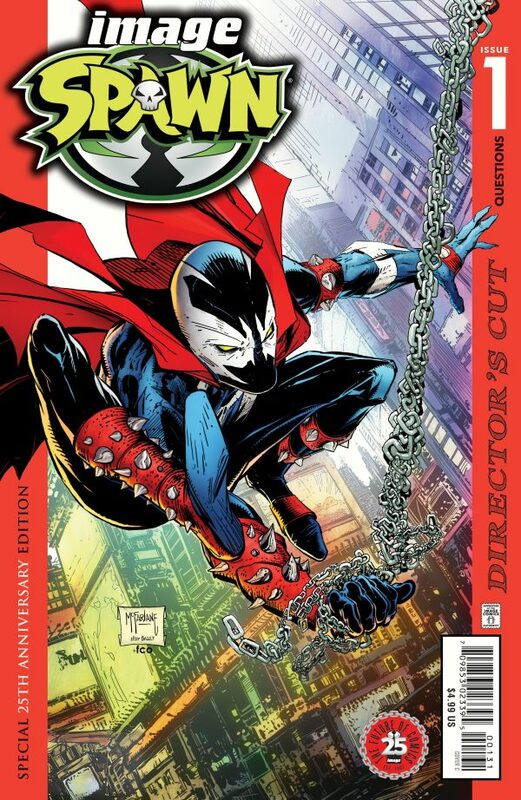 I think that his Spawn work might be more polished than his work on say, Spider-Man, because Spawn and all of the characters in it were created by him. They are his babies. When he was working for Marvel, he was mostly drawing characters created by other people. Who knows for sure though, that's just my theory.